Roberta Flack turns 73 today. Today’s ‘Live Better With Willie Jolley’ Tip: Stay Calm and be An Independent Thinker Today’s tip for success is focused on helping you overcome this challenging economy. It is taken from my new book, Turn Setbacks Into Greenbacks. When life throws us curveballs, they can come in waves. Once the rush of activity begins, we can easily get caught up in the activity. And if we are not mindful, we can get caught up in a mob mentality; the hysteria of the moment. These are times when people get caught up in activities without really thinking them through, yet they do them anyway, because everyone else is doing them. It typically happens when people act before they think. We have seen soccer mobs exhibit crazy behavior and fight each and later have no idea why they did what they did. They cannot explain it, they only can describe that it was so quick that I didn’t know what was happening! I just got caught up! That is exactly why it is important to stay calm, even when others around you are losing their minds. I encourage you to make a point of practicing calm even when the people around me are getting overly excited about the issues that are swirling around and about them. Stay calm and take time and think! 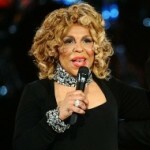 Feb. 10: Singer Roberta Flack is 73. Singer Jimmy Merchant of Frankie Lymon and the Teenagers is 70. Morning family! I am sleepy yet again today. *sigh* I leave in the morning. YAY! I’m so ready to go, too! Have a great day all! Have a fabulous time JFrom. I am going to the DR in June. Give us a heads up on the men in the DR. I went to the DR last year & had a ball. We stayed at the Dreams Resort. I drank, drank & drank. Where are you staying? Good Morning fam. It is humpday. It seems like such a long week. I am ready for the weekend. Have a great time today, my azz is being kicked at work. Yly I miss you too. I have so much pent up stupid and no where to really release it. In my Glenda the Good Witch Voice: All EUR posters: Come out, come out wherever you are!!!! See ASIZE, I’m here bright & early today. A magnitude 4.3 earthquake hit northern Illinois early Wednesday morning. First the snow, now earthquakes. I’m wondering about the Bible where it says there will be earthquakes in diverse places. Our weather has been crazy for a minute…Prior to the Haiti earthquake, there had been a series of quakes for about 7 days before it hit Haiti…by the time it got to Haiti…well we see what happened there. But here were several out to sea before it hit there. Scary. The effulgence of the moon in the clear midnight sky provided enough light to help us safely make our way home. Good Morning Chicken & Waffles! I hope the lurkers come out and play with us today…*grabbing bullhorn* CALLING ALL LURKERS…COME OUT, COME OUT WHEREVER YOU ARE!!! Hey natural! Thanks for adding me as a friend on fb. send me a request from the freeforall. i’m bgood. Naturalsista we’re not fb friends either. Man, chicken and waffles sound good! Sure does. Now I don’t want my oatmeal and veggie sausages. natural, who makes the best veggie sausage? I like morning star’s veggie burgers, is that the brand you buy? Morning star link sausages. yummy. Oatmeal and veggie sausages…No, no, no…Somethings ain’t ‘posed to be veggitized…A sausage gotta be a sausage…Now, I stop eating pork ‘cept for bacon and sausage…I’m weaning off but the sh1t is hard ’cause there’s always a muthafuccer cooking up some bacon and sausages…tryna temp a muthafuccer back to the pork…And it’s always thick, peppered bacon and hot italian sausages…Folks are wrong to do that to a cat tryna wean…. pen, I’m gon’ make it back to Cali to get me some Chicken & Waffles if it’s the last thing I do! Get ready for Friends and Family Day on February 12! Paper coupons will not be mailed to stores this time around. Rather, all team members should direct their friends and family members to print an online coupon for 15% discount from Walgreens.com beginning on February 11. Details of this offer will also be available on Facebook, Twitter and on Walgreens.com. 1. Customer will text “HEART” to 21525. 3. Customers will then show the text message on their mobile device to the cashier. 4. The cashier should then ring the sale under the employee discount. The same restrictions apply to this Friends and Family offer as they do to the employee discount. Both the printed online coupon and text message are valid on Friday, February 12 only. Thanks dee! I stay up in Walgreens. Hey, did anyone see Kid n’ Play & Darryl “Chill” Mitchell on Mo’Nique last night? It was AWESOME! They sang “Roll w/ Kid n Play” (Olah Olah Aye) and they even did their lil’ dance routine, TOO HYPE!!! I recorded it and will watch it later this evening. I may be in the minority but I like Monique’s show. I missed it. Wonder if it’s on youtube. I missed it. Does Play look the same?? Kid looks a lil old. Ok. Yea I agree with you on that. I remember Kid mentioning Play was a professor when he was featured on Life After. I’d heard from some where he was a minister. Not sure if that’s true or not. Was Chill dancing in the chair? Yep, Chill was pumpin it up in his wheelchair! Girl were you hyped? Cuz I sure was! I was SO excited cuz I used to LOVE Kid n’ Play! I’ve been in Old Skool heaven for the past week! First the Fresh Fest, now Kid n’ Play! I feel like I’m 18 again! Made me wanna go out and buy that Kid n’ Play t-shirt that I saw at Hot Topic the other day. Me: Why? She just had her hand operated on yesterday. Dad: She’s bored. It’s your mom. You know how she gets when she starts humming. Nothing to do but let her go until her batteries run down. Me: Why aren’t you out there with her? That was funny! Your parents are a riot! 😯 WHOA. Jacque put a picture up on FB!!! 😯 😆 I kid, I kid. Good Day Chocolate Cupids! Happy Birthday Chassie!! It’s even funnier because most of the time they’re not trying to be funny. *waving* Hey fressy! How are you & loverboy doing? We are doing, Asize. Hit a little rough patch but we are working through it. That’s okay fressy, every couple goes through rough patches. The key thing is that you guys are fighting for your love. LOVE RULES! The snow covered mountains made for a beautiful scenic route into work this morning. Veering to the left – Mr. Bailey I applaud the efforts to make this site user-friendly and up-to-date. I especially like the edit, deletion, and reply to features. Has anyone tried Carol’s Daughters skincare line?? I’ve tried the almond butter body wash and the almond butter body cream and they smell SOOOO good!!! They work good too, that body butter keeps the ash off. I need to order some more…I bought my cousin some almond butter lip balm for Christmas one year and she said it was the best lip balm she’d ever used. A12 I’ve tried the almond butter body cream and yes it does smell good. I see they now have a skincare line (face wash & toner). I was wondering if anyone tried it. Oh okay, then no I haven’t tried their facial products. I hear their haircare products are great too. No, I haven’t tried the skincare line. I’ve never tried their facial products.I love the body butter & perfume. I have it in Almond Cookie, Groove & Mango Melange. When I lather my skin, I can’t help smelling myself. One note, they sell it in Sephora stores here & it always seems that the products are open or used. Is it like that in ur city? I keep saying I’m going to call corporate & see what’s the deal. My niece uses the haircare products on her daughters hair. Rayne I’ve noticed that too. Whenever I go to Sephora either the Almond Cookie body cream is on back order or they have one left and it looks used. I was thinking about ordering the products for locs. Yes and I like the products. They smell great and go on well without being greasy. I love the lip butter. Women in my life have used the hair and skin care products and like them, all I can vouch for is that they smell good! *waving* Hey mommaship! I just saw them in concert last saturday, they were AWESOME! Hey, 12! Yeah, I know, they’ve been my dudes for decades. Ja gets a kick when I rap “Freak Come Out at Night.” We be kickin’ it on the phone too. He be rollin’! Can’t wait to see what he comes up with for the CD. …But befo I can buzz a rhyme on the mic, freaks are all over me like white on rice! Waiting on hubby to snowplow the driveway so I can make may way to Target to get Sade’s new cd. She was great on The View this morning. Love Jahiem will be adding that to my collection. will get sade and jaheim to set the mood for this weekend. Yes, the CD is called “Another Round.” Jahiem is also going to be on the Mo’Nique show too on the 15th of Feb. OMG!! Hey gang. It has taken me weeks to get in here. I miss everybody! Thought I’d neva tawk to u guys again. My password didn’t work and then when I got a password mailed to me that didn’t work. I finally sent a note to the powers that be and bless their hearts they opened the door for a sista…..sigh. So, I’m snowed in for the second time this week in in the DMV the madness continues….sigh. Gotta figa out how this new site work now. Carryon people and glad to be in your presence once again. For those that are coming in for All-Star weekend check the weather. They are predicting snow tomorrow. Please be careful. Good afternoon people. I was reading Ask Dr. Day on another site and came across this question and thought the FFA folks will appreciate this. Somewhat actually asked this question. What do you do when your testicles get twisted? Go to the emergency room. That’s a real emergency. It can cause significant problems. I want to know what he was doing! Has everyone gone for the day? Okay tallchix. I was actually posting to see if my profile pic showed up on here. Yes I see your Princess and the Frog picture.